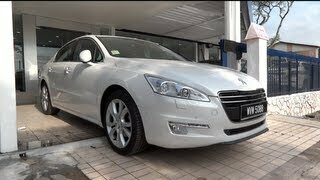 Today Peugeot announced the details of the new Peugeot 508 which will be revealed at Paris Auto Show 2010 and launched sometime in 2011. 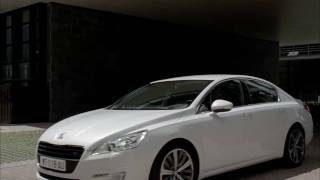 Designed based on SR1 Concept Car, Peugeot 508 has an elegant exterior design and a hi-tech & high quality interior. 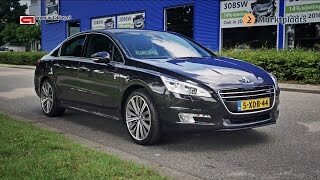 The car will be available in two body styles: Saloon and a SW. Peugeot 508 will be benefiting from e-HDi and HYbrid4 technology and will provide 200bhp performance with AWD and emissions of 99 g/km of CO2 or zero in electric mode. The Peugeot 508 introduces the Marque’s new design look which has evolved from the stylistic codes first unveiled on the SR1 Concept Car. Combining both a stylish and strong design with cutting-edge technology; quality, purity and efficiency have been the watchwords that have guided the Peugeot designers and engineers during the creation of the 508. The stylish exterior design is elegant and timeless and full of ‘French chic’, equally at home in Paris or London. The interior of the car combines hi-tech with the use of high quality materials and every detail has been chosen to offer indisputable perceived quality, both visually and to the touch. An exceptional interior space, a very generous boot, and a level of standard specification provide interior comfort and convenience of a very high level. In line with Peugeot’s strategy to produce vehicles that emit low levels of CO2 and optimise fuel efficiency, the 508 has been designed to optimise the performance of its engines, enhance environmental efficiency, reduce weight and improve aerodynamics, matched at all times to a broad range of highly efficient engines. 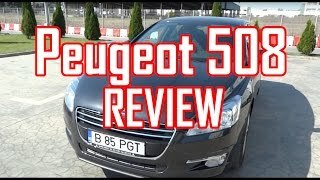 The Peugeot 508 will be powered by a range of engines all well positioned in their categories in terms of performance and driveability, but also fuel consumption and CO2 emissions. All engines will benefit from the latest engine technology including Peugeot’s new e-HDi stop and start system. This is the first of the new generation of stop and start systems which offers improved driveability and economy enhancements of up to 15%. After launch, Peugeot’s HYbrid4 technology will become available on the 508 and will provide 200bhp performance with all-wheel drive and emissions of 99g/km of CO2 or zero in electric mode. The Peugeot 508 will be available in two body styles: a Saloon (with a length of 4.79 m) and a SW (4.81 m). Both models will be revealed to the public in October at the Paris Motor Show, and will go on sale at the beginning of 2011. Utilising the PSA Group’s platform 3, the 508 will be produced in Rennes in France, for the European market and in 2011 in China, for the Chinese market.